The area could benefit from having a light on this pole. Could you install one please? This pole was replaced after a winter storm but a street light was never installed. Could you please put a light on this pole. 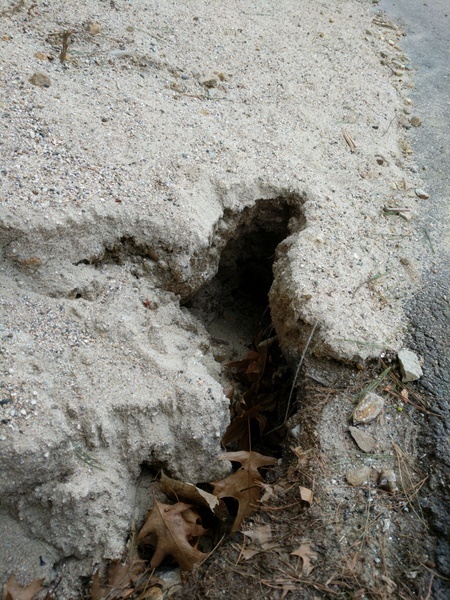 this was small pothole that now has grown to become a hazard due to the depth of it. I now have two damaged rims on my car and soon the tires may become no longer. Thank you for reporting this, the highway department is trying to get out and repair all potholes around town as weather permits. I have added this to our repair list and it will be fixed as soon as possible. Thank You. Thank you! At a young age of 75, this will make my wife and I, happy. Dangerous pothole near The Establishment bent and cracked my rim. Large pothole in the middle of the road on First Street. If anybody would hit it, damage on your front end of the car is very likely. The rest of First Street is also a mess. The road has too many other potholes and cracks to count. Many large trucks have recently caused considerable damage to street supporting the new construction on this road. Two weeks later and this pothole is even bigger! Series of potholes on newtowne way (including pothole in picture near end of newtowne). Some potholes are shallow but very wide. Thank you for reporting this, we have added this to our repair list and the highway department will repair as soon as possible. The National Grid number that DPW / Engineering is giving out is disconnected. 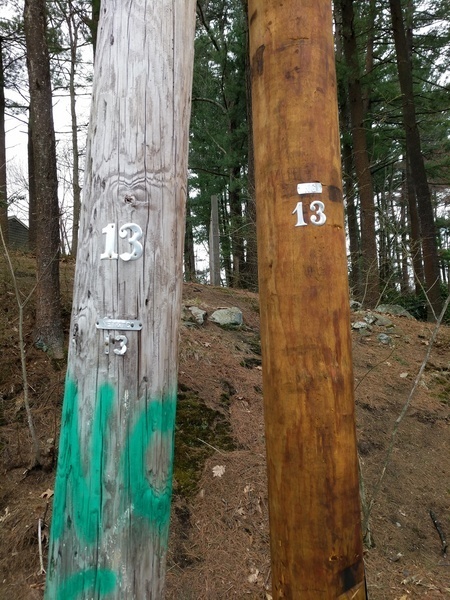 What number can I actually call for tree concerns? When will the work be starting on Locke Road, and the various side streets located off of Locke Road?